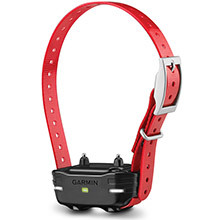 PRO Trashbreaker allows intuitive one-hand training and control of up to 9 dogs from a range of up to 4 miles. 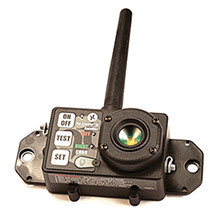 A top-mounted selection dial provides 6 levels of continuous stimulation and tone setting for adjustability without complexity. 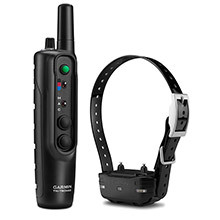 PRO 550 allows intuitive control for serious trainers with easy access to 21 levels of momentary and continuous stimulation, vibration and tone setting, and the ability to quickly select a particular dog if training up to 3. 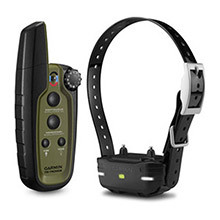 PRO 550 features remote operated beacon lights on the dog device for low light, the ability to add an Upland™ Beeper (sold separately) and a built-in BarkLimiter, activated on the dog device. 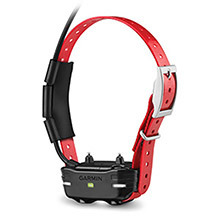 The Garmin PRO 70 allows intuitive one-hand training and control of your dog from up to 1 mile away. 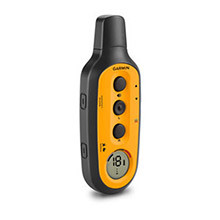 A top-mounted selection dial provides for 6 levels of stimulation plus tone setting for adjustability without complexity. 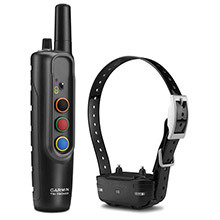 PRO 70 can expand to train up to 6 dogs* and features remote controlled beacon lights on the dog device for low light. 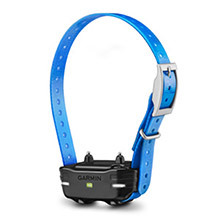 PRO Trashbreaker allows intuitive one-hand training and control of up to 9 dogs from a range of up to 4 miles. 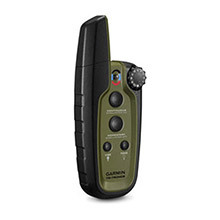 A top-mounted selection dial provides 6 levels of continuous stimulation and tone setting for adjustability without complexity. Remote control of LED beacon lights helps you locate your dog in low light. 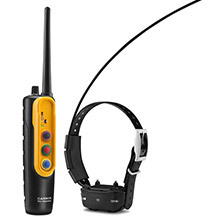 And a built-in BarkLimiter™, activated on the dog device, helps keep the peace at home.